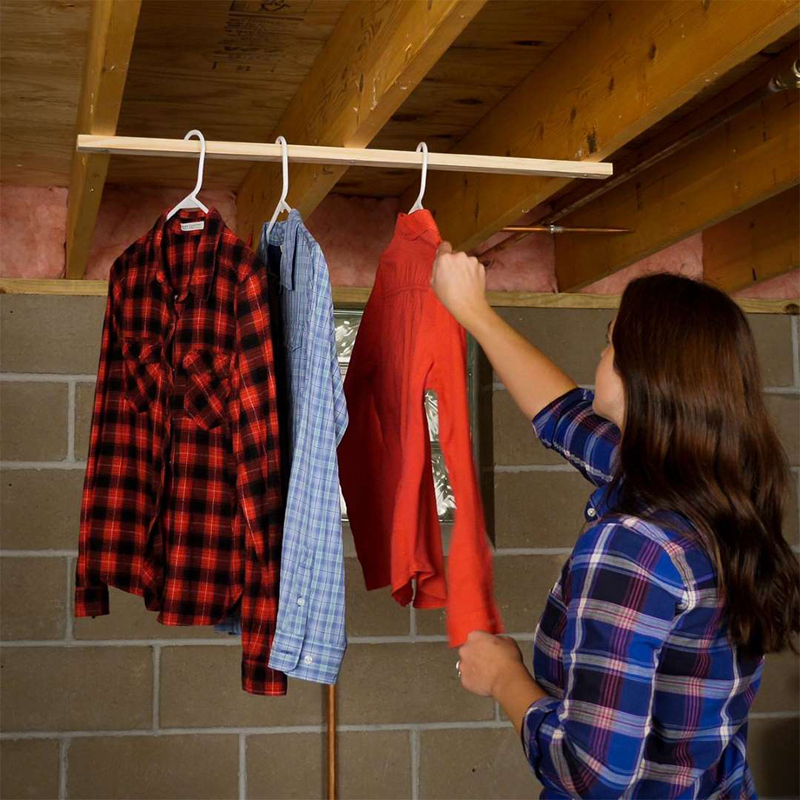 Create space for air-drying clothes in a basement laundry room by tacking a 1x2 board across a few joists overhead. 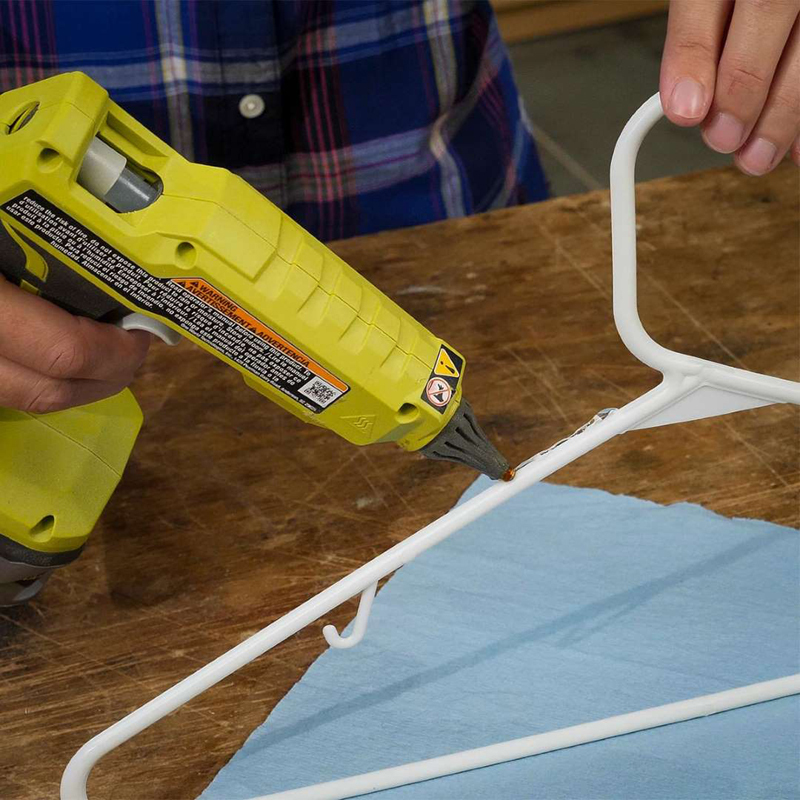 Drive a heavy-duty nail or screw through the board and into each joist; then hook several hangers onto the board for drying clothes. 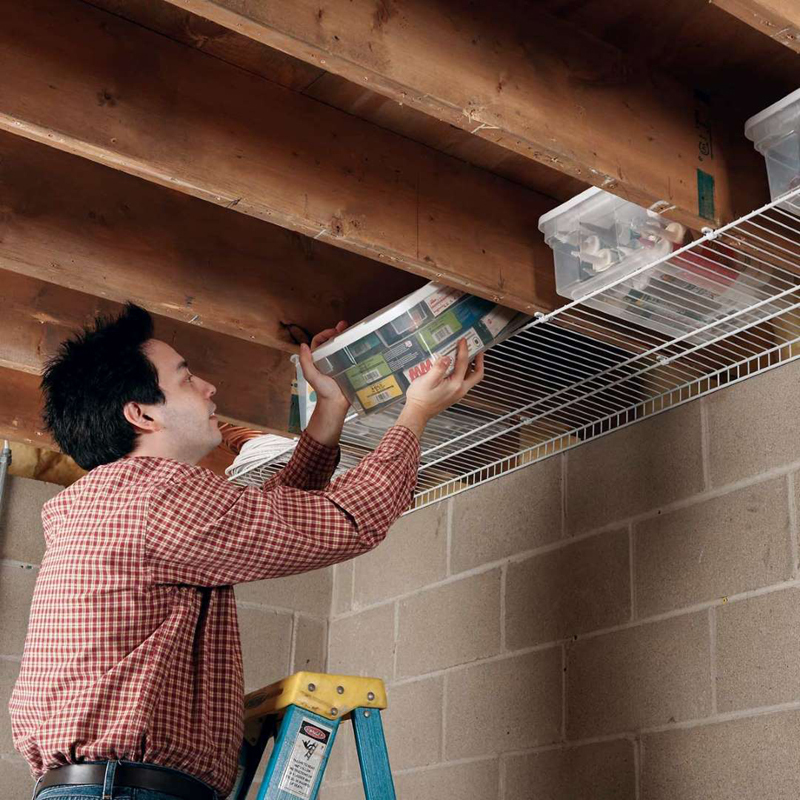 Don't waste all that space between joists in a basement or garage. Screw wire shelving to the underside of the joists. 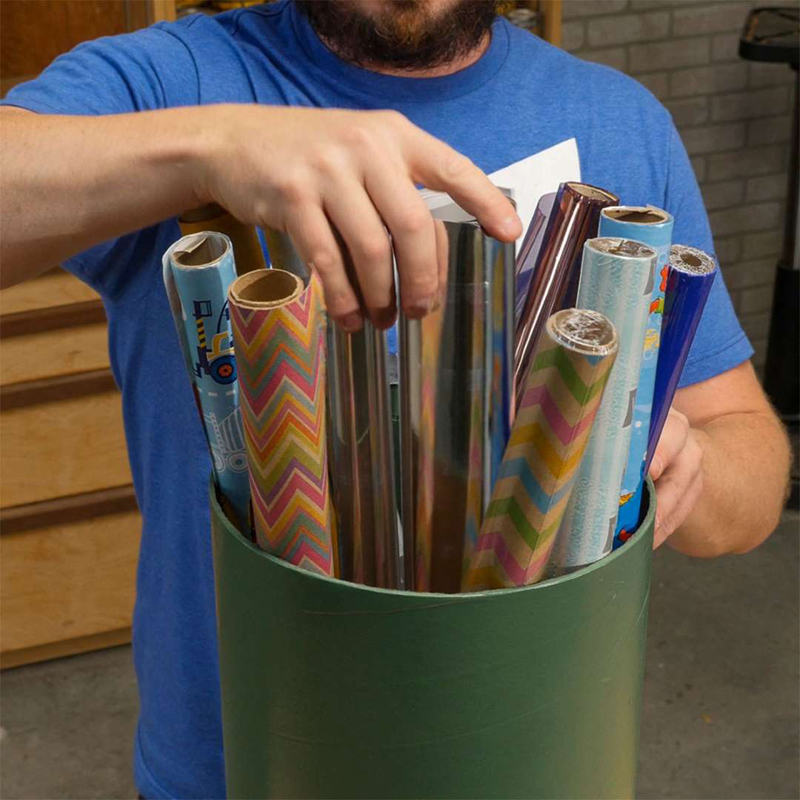 An 8-ft. x 16-in. length of wire shelving and a pack of plastic clips (sold separately) costs about 20 bucks. 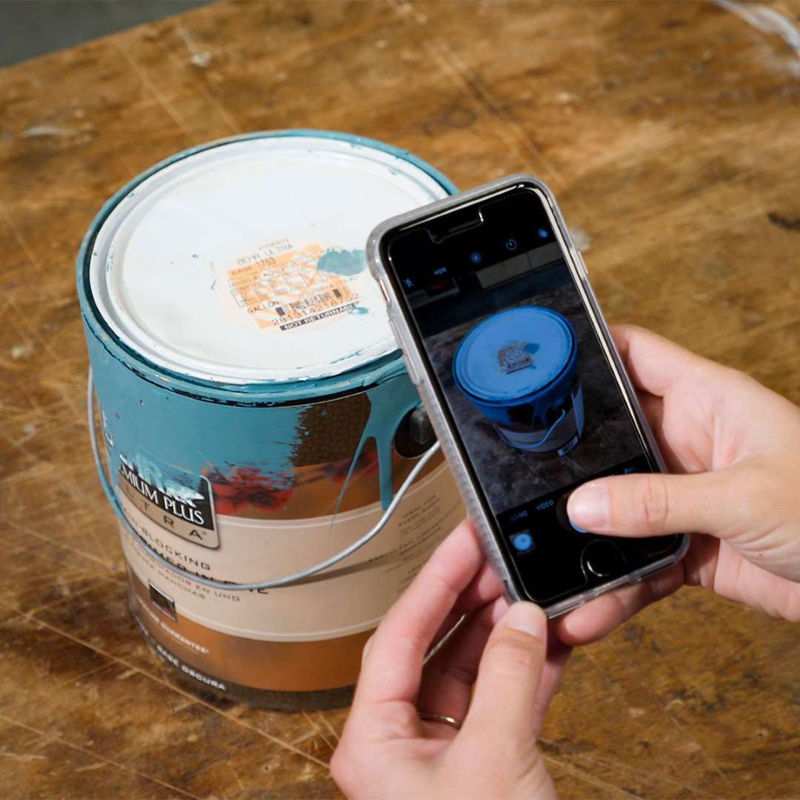 Don't forget that wire shelving also shines on walls. Short on space? 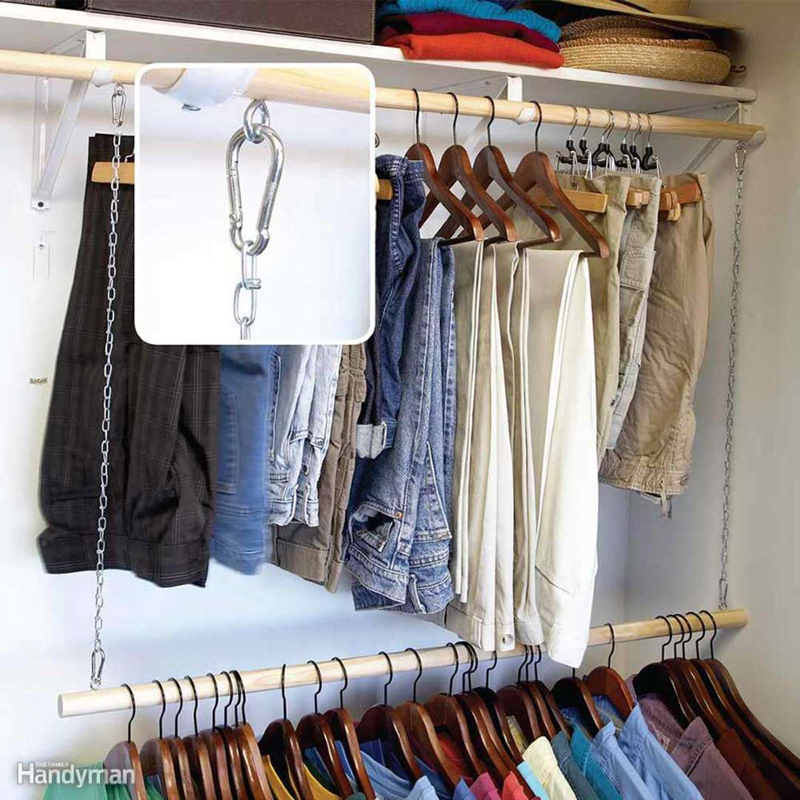 Use a lightweight piece of chain to stagger hanging clothing in tall closets to maximize space. Just loop the first link of the chain over the first hanger, and hang subsequent hangers on every other links after. 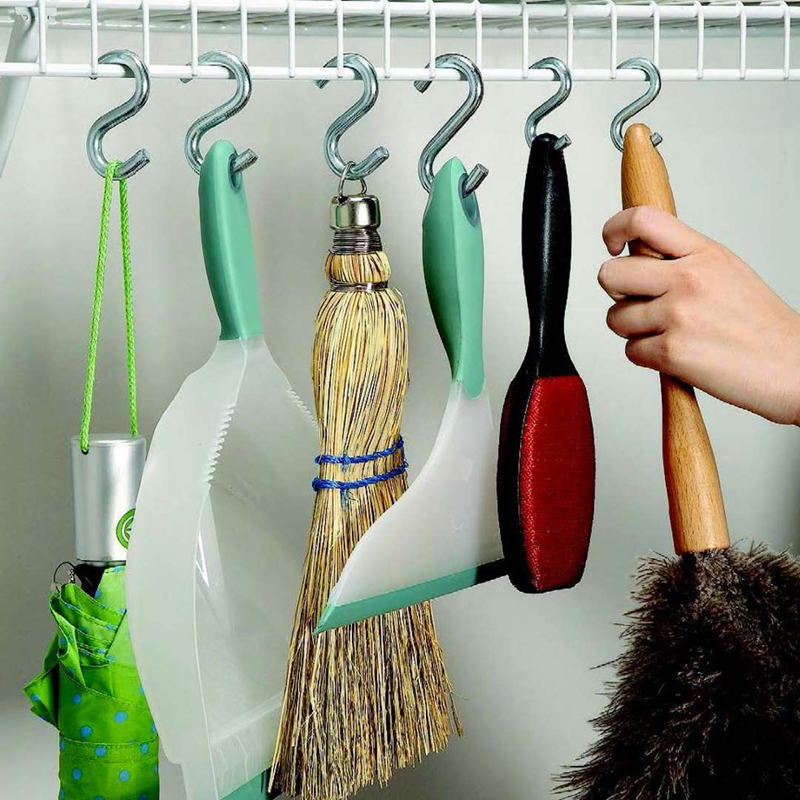 Hang up to six shirts for the rod space of one. 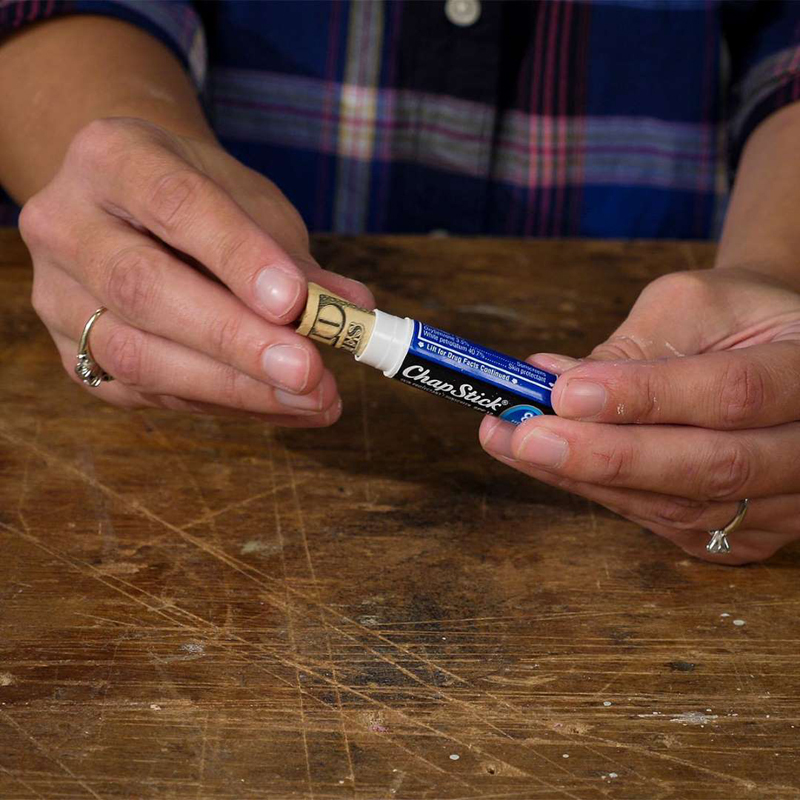 Want to get into a closet project? 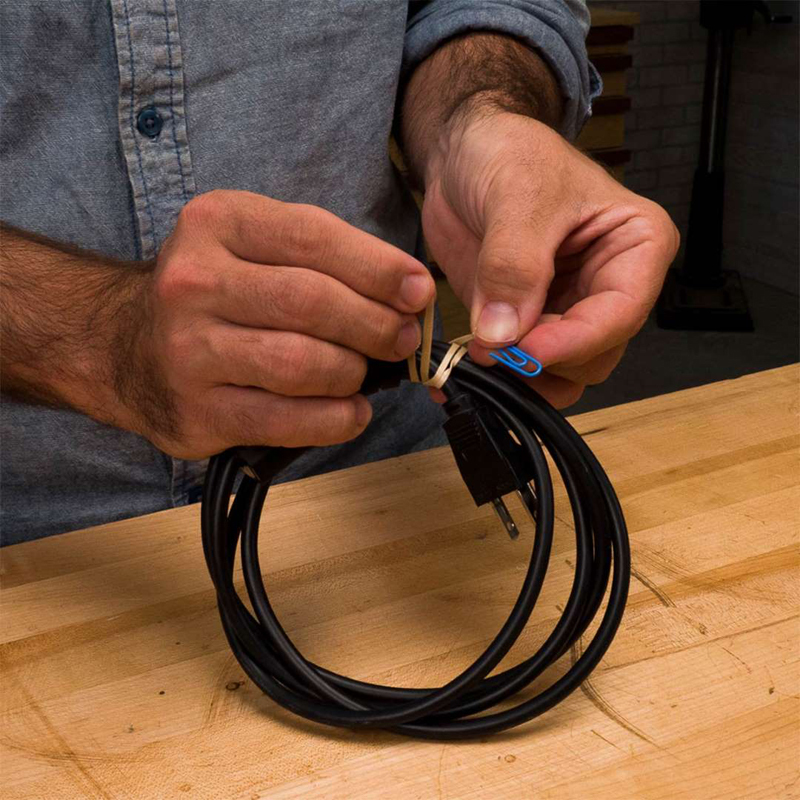 Store small extension cords neatly with this simple office supply hack: Attach a paperclip to a small rubber band. 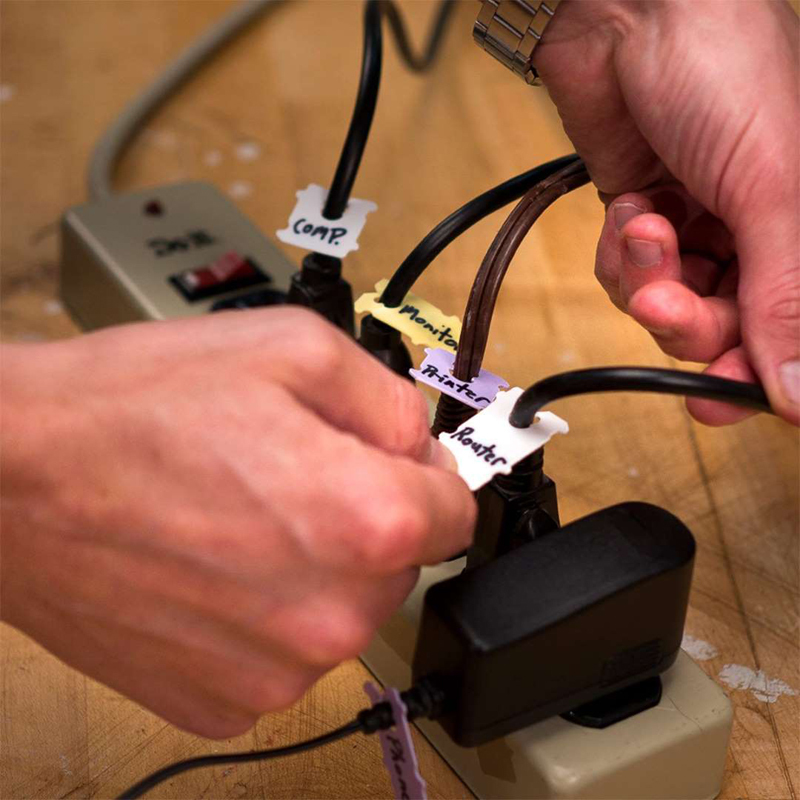 Then wrap the rubber band around the bundled cord and clasp the paperclip onto the rubber band again. Screw flowerpot saucers to shelves so balls can't roll off. 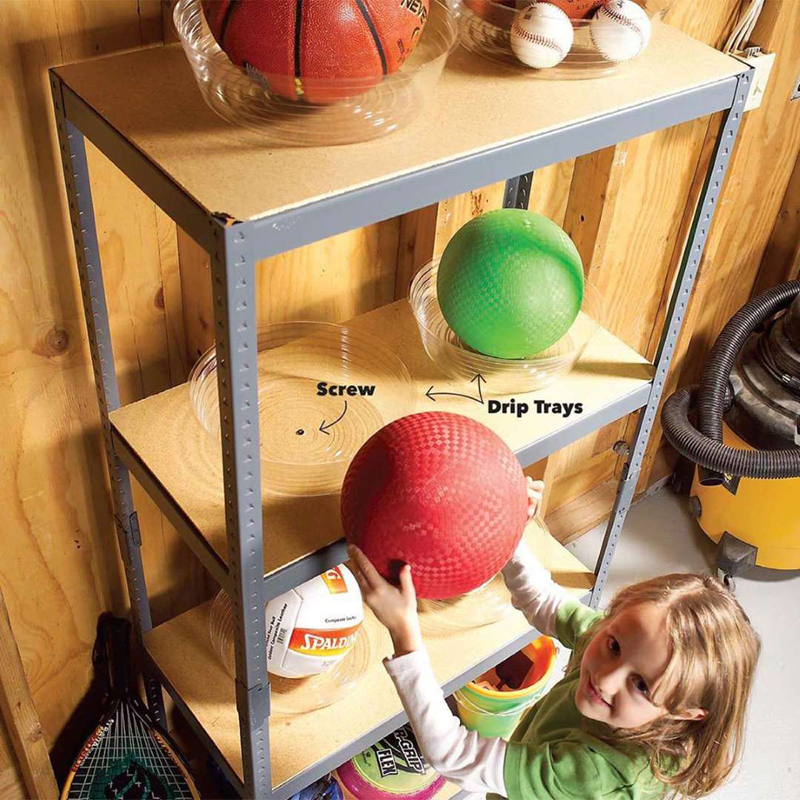 Cheap plastic trays come in sizes to suit all kinds of balls. 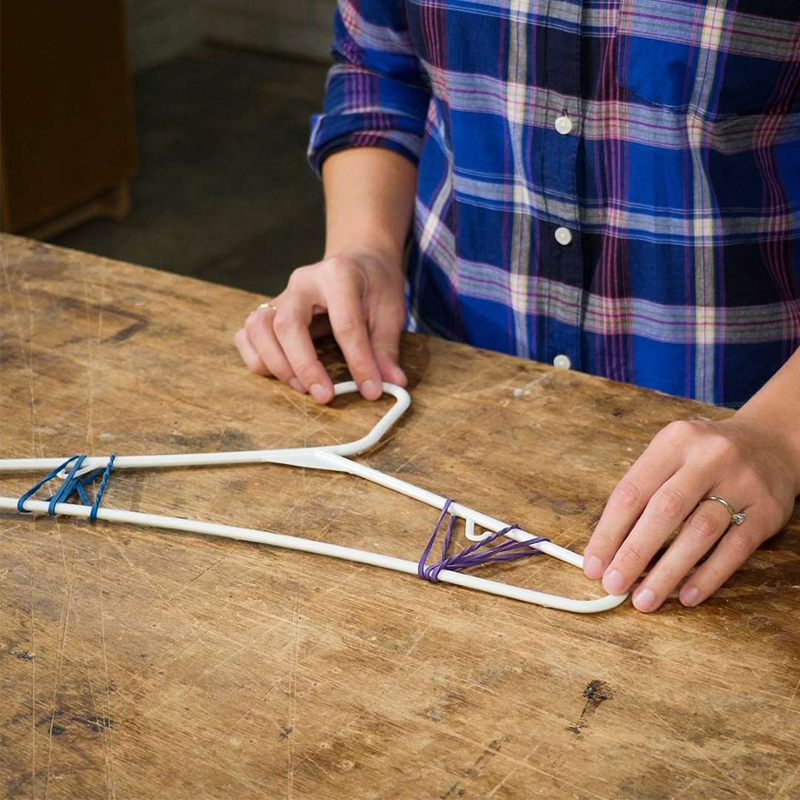 To save time packing and unpacking your clothes during a move, simply take a handful of your hanging clothes and wrap the tops of the hangers together using bendable electrical wire. 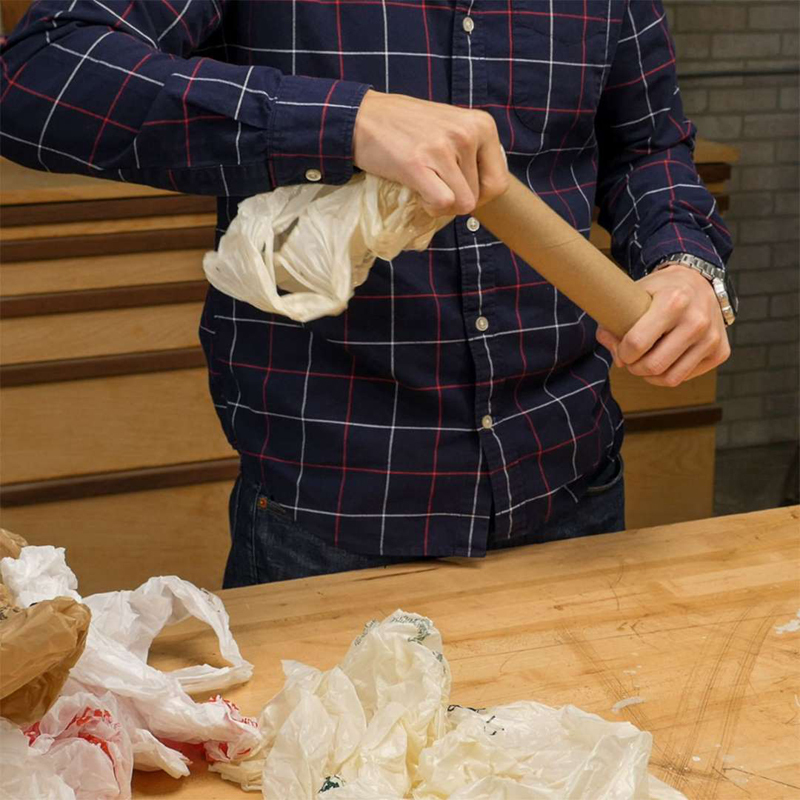 Then throw a garbage bag over them, pulling the tops of the hangers through a hole in the bottom of the bag. 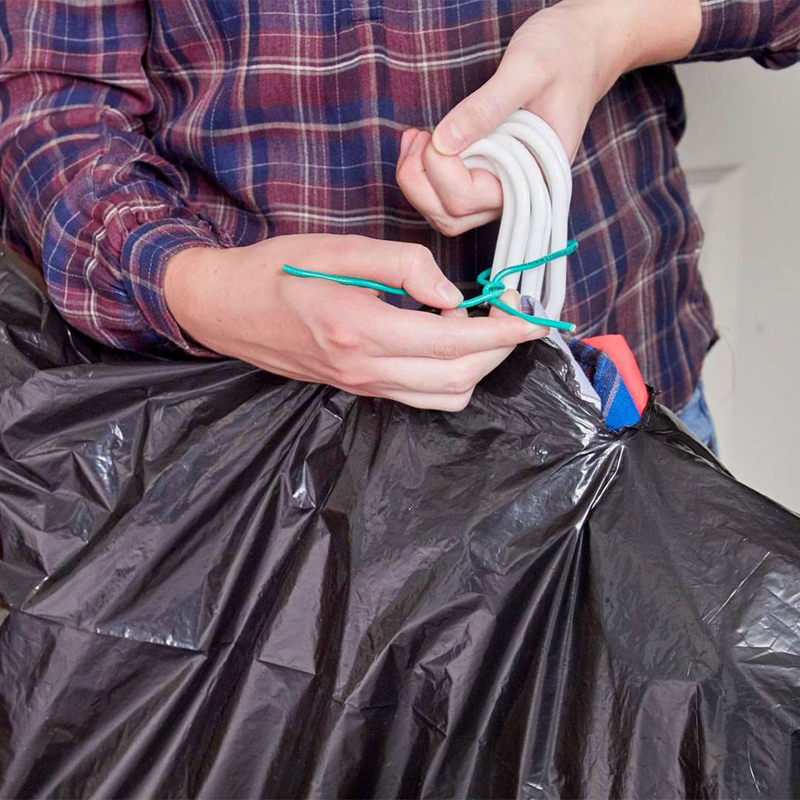 Tie the garbage bag handles together to keep your clothes extra clean during transportation.Whether you’re toting heavy furniture, packing up fragile items or prepping for the big day. 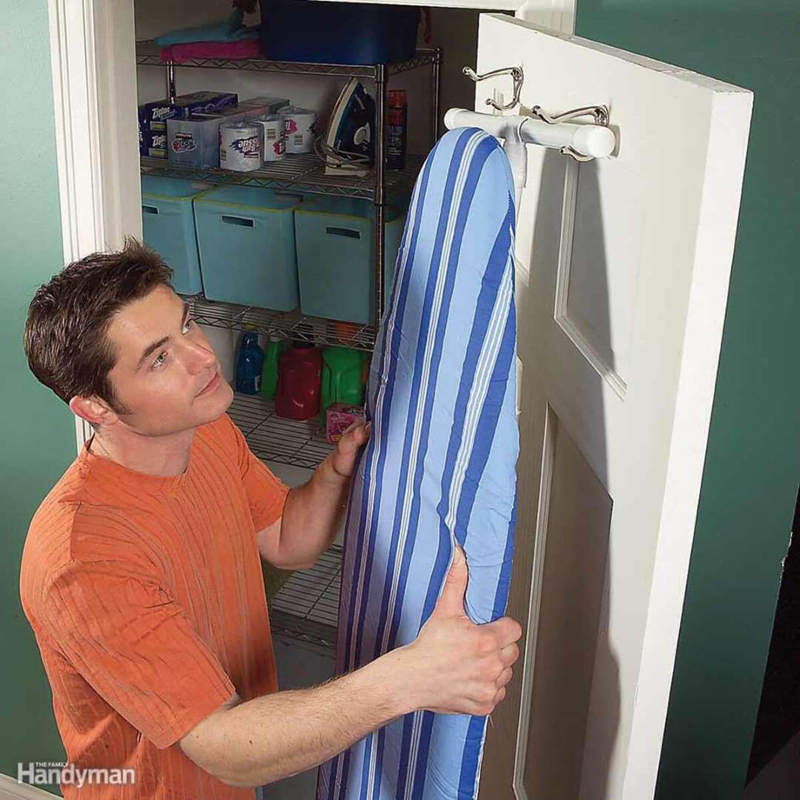 Ordinary coat hooks on the back of a closet door keep your ironing board out of the way but close at hand when you need it.Keep your imagination moving and check out these garage storage ideas. 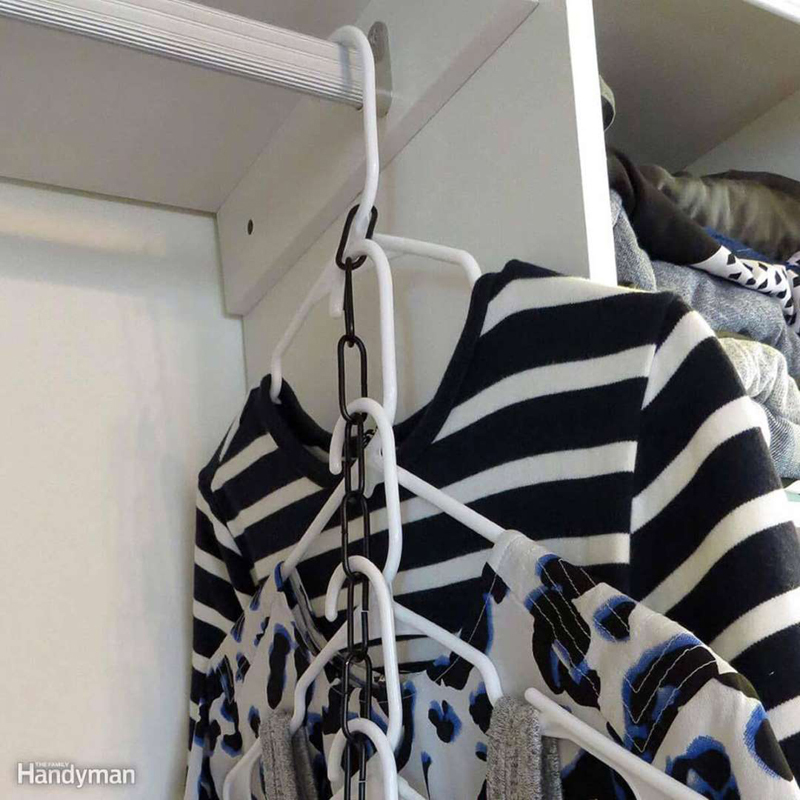 Here's an easy way to add space for hanging clothes (or at least clothes that don't require a tall space). 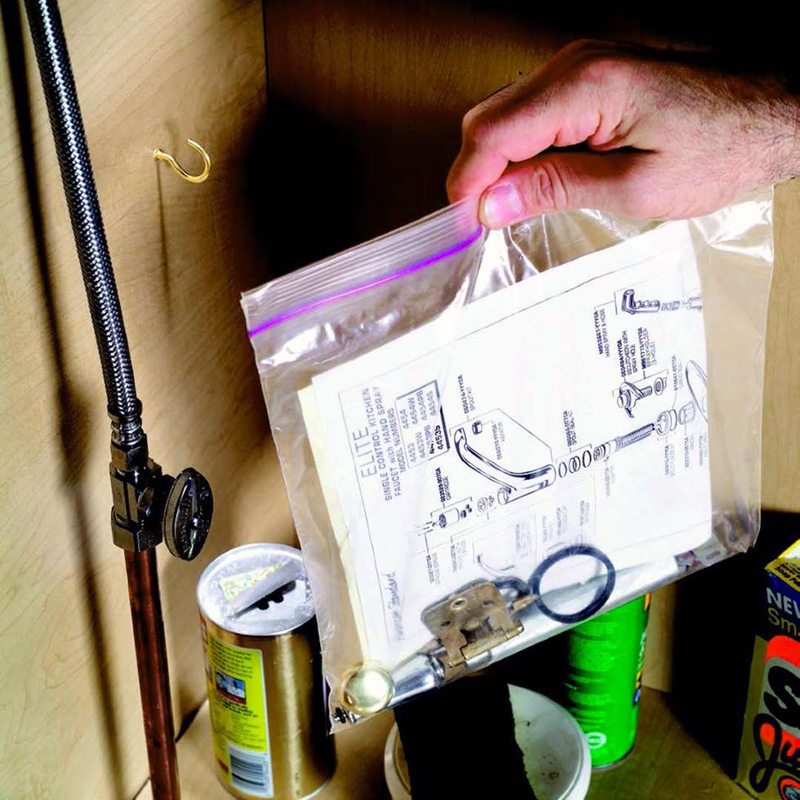 Hang a second clothes rod from the upper rod with lightweight chain. 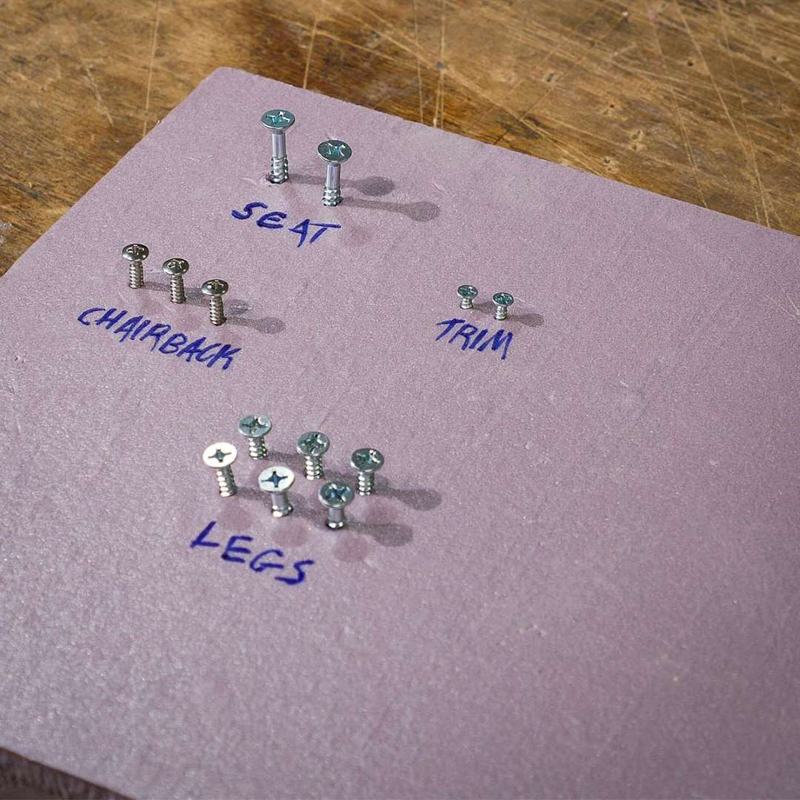 Attach the chain to screw eyes directly or use S-hooks or carabiners. 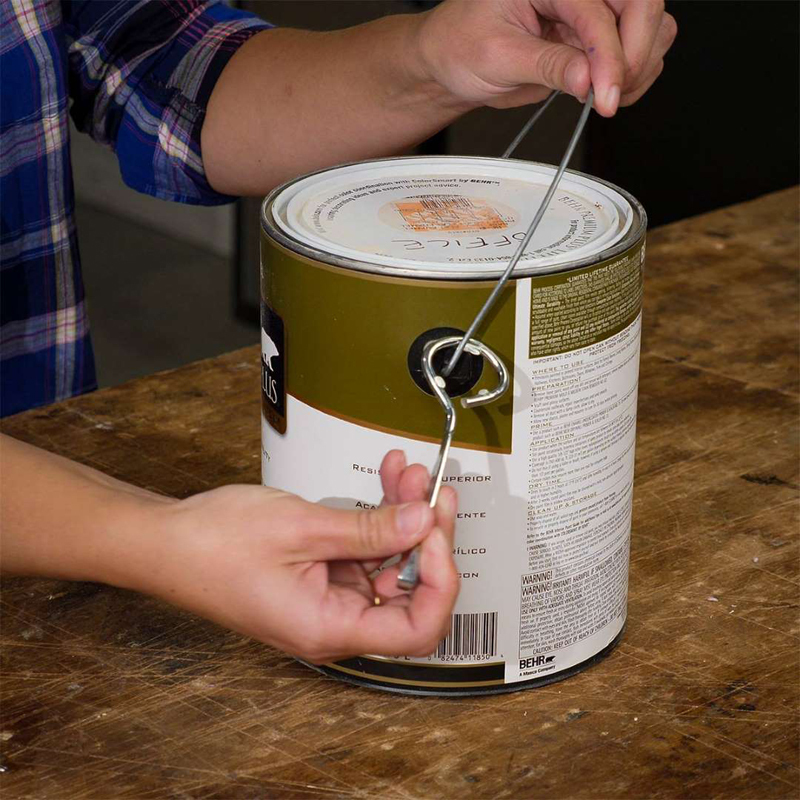 Carabiners make adjusting the height of the extra rod a snap.